Ripple Labs shortened its name to Ripple this week, a move which according to company officials, signals its products are now “out of the lab” and ready for use. Long one of the more well-funded startups in industry, Ripple was arguably the first to focus on use cases for distributed ledgers, introducing an alternative ledger that deviated from bitcoin’s method for consensus and featured its own unique digital currency, XRP, as early as 2012. Since then, Ripple has increasingly put forth in its public messaging that it is seeking to realize an “Internet of Value“, a term that denotes a time when money could move as quickly as information does today. As a building block for this future, Ripple has introduced the Interledger protocol (ILP), which intends to act as an arbiter for all types of ledgers, both those that are distributed and traditional centralized alternatives. Ripple CTO Stefan Thomas explained that ILP itself is not a ledger, as it does not seek consensus toward any state. Rather it provides a top-layer cryptographic escrow system that allows funds to move between ledgers with the help of intermediaries it calls “connectors”. Further, ILP has no native token, so individual ledgers operating its protocol will still hold balances in their native units of account. Thomas contends such interoperability solves the issue of one specific payment network – be it Ripple or Visa – needing to reach global ubiquitousness. ILP is also a bid to offer Ripple’s enterprise customers a solution that they argue maintains customer privacy, allowing users to keep aggregate transaction data off a public blockchain by using a connector to move funds between private versions of the Ripple network. With this in mind, ILP features two modes – Atomic and Universal – with the former using a selected group of “notaries” to approve transfers and the latter an incentive structure to allow untrusted institutions to fill the role. Ripple contends ILP is also easy for any of its partners to adopt. “If you’re PayPal, all you would need to do is add a new payment to your API,” Thomas said. Today, Ripple said Interledger works with any ledger or payments system and that open-source reference implementations are to be released later this month. As described in the official white paper, connectors would facilitate transfers between ledgers, performing the same function that companies today might achieve with market makers when they exchange currencies for business purposes. Unlike traditional systems, however, Ripple says ILP removes the need for transaction participants to trust that the connector will not lose or steal the money, meaning such exchange doesn’t need to be protected by legal contracts. 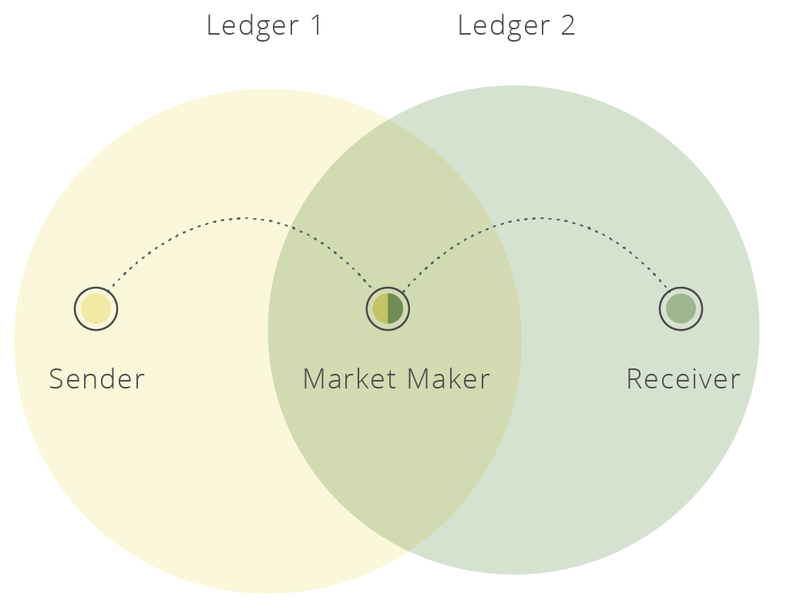 “Ledger-provided escrow guarantees the sender that their funds will only be transferred to the connector once the ledger receives proof that the recipient has been paid. Escrow also assures the connector that they will receive the sender’s funds once they complete their end of the agreement,” the paper states. In interview, Thomas suggested entities acting as connectors would also benefit from lower barriers to access. “In order to lower the barrier, the first thing you have to do is so the connector doesn’t have to be trusted, they can provide liquidity without being that well-vetted,” he continued. More uncertain, Thomas suggested, was who might serve as a connector on ILP, though he said digital currency exchanges could fill this role. “Those kinds of systems could adopt the tech and adopt that standard to expose their liquidity in a standardized way,” he said. In terms more familiar in the industry, Thomas compared ILP to Blockstream‘s sidechains project, which is seeking to extend the functionality of the bitcoin network by allowing bitcoin assets to be moved back and forth between altnerate cryptographic ledgers and the public blockchain. Ripple indicated that, while not affiliated with the World Wide Web Consortium (W3C), ILP grew out of its participation in its Web Payments Interest Group, which is seeking to develop standards for payments on the web. Founded by World Wide Web inventor Tim Berners-Lee, W3C is a member organization that connects Internet industry stakeholders in an effort to develop open standards for everything from online payments to connected cars. “We’ve been involved [with W3C] since 2013, and we’ve been in touch with them based on the [ILP] idea, making a payments standard to create open, free payments,” Thomas said. 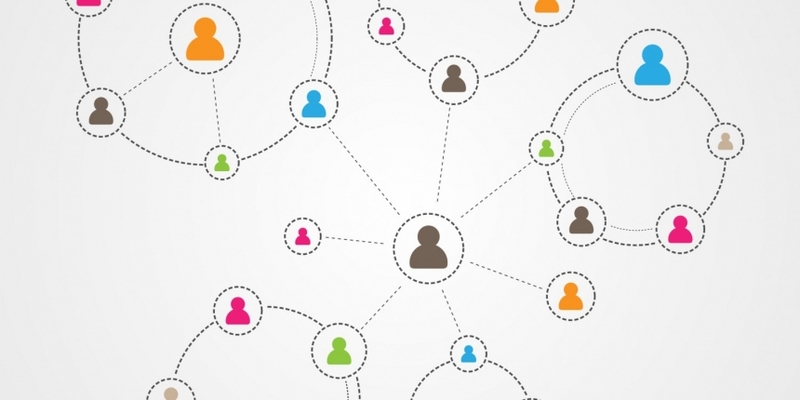 Currently, Ripple indicated it is workshopping the protocol in a W3C community group, with the goal for it to potentially be considered as a standard for web payments. Members include representatives from the National Association of Convenience Stores, the Federal Reserve Bank of Minneapolis and Eris Ltd. Yet, the development also seeks to help enhance the competitiveness of Ripple’s products, which Thomas said banks have criticized due to potential issues with scalability. Thomas indicated that banks believe that, as with the introduction of the Faster Payments network in the UK, lower costs systems inevitably produce a higher volume of transactions. Thomas said that, as with sidechains in bitcoin, this would potentially enable “horizontal scalability” so that the global transaction system can increase its total processing power. Thomas and Long also expressed their belief that ILP – by placing ledger systems side by side in a market – would serve to highlight which of these are the most efficient, something they suspect will be advantageous to distributed ledger providers. In this light, Thomas suggested ILP will help promote other new Ripple products, including its Cross-Currency Settlement and FX Market Making solutions, introduced on Tuesday. Both solutions, Long said, are software products that interact with Ripple and are packaged together. Customers are able to purchase the products for a license fee. Ripple earns added revenue from integrations, and said pricing is currently customized depending on the partner. The products also position Ripple and its asset XRP “as a bridge” that can reduce the cost for cross-border settlement, according to the company. Long said that the Cross-Currency Settlement product, for example, would improve the information available for end-consumers in the foreign exchange process for when removing privacy restrictions is beneficial. “Today, a bank can send payment instructions to a receiving bank, but there’s no way for the recipient to send information back. The sending institution can’t give its customer accurate pricing for the transaction and can’t give the customer accurate confirmation that the payment got there,” Long said. Given its status as an early partner for financial institutions, and the rising interest among these entities in blockchain and distributed ledger solutions, Long suggested Ripple sees developments in 2015 as a validation of its market strategy. Long claimed Ripple has 30 banks currently experimenting with its technology, and that the announcement on how this is being used would be forthcoming. Overall, Long spoke positively of developments such as R3’s recent partnerships with major banks, indicating that both groups seem to be focused on separate use cases, Ripple on cross-border settlement and R3 more on interbank settlement. With the changes in the space, Long positioned ILP as part of the expanding use cases in the “distributed financial technology” industry, a definition she feels best captures projects that are not wholly blockchain-based but seek goals concurrent with the community.